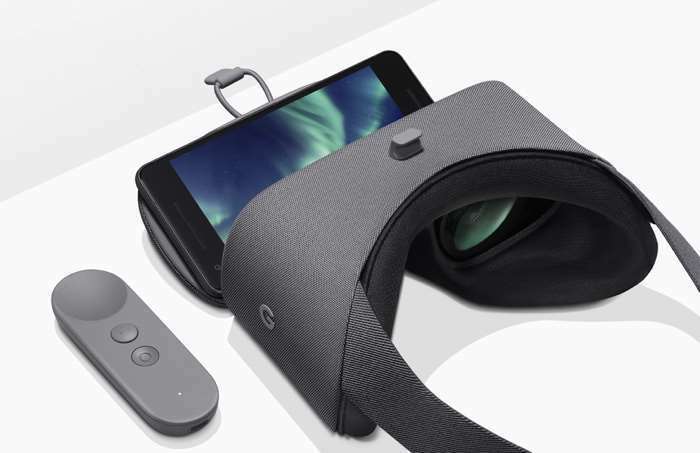 Along with the new Google Pixel 2 and Pixel 2 XL smartphones, Google also announced their new VR headset, the Google Daydream View VR. The updated Google Daydream VR will work with the new Pixel 2 and Pixel 2 XL smartphones and other Daydream devices. There’s so much to experience on Daydream. Last year, we launched with 25 apps and games. Daydream now has more than 250 titles, so you’ll never run out of things to do. Over the last year, we’ve also seen how much people love watching immersive VR video on apps like YouTube VR. And no wonder: great VR video puts you in the center of the action. It’s a totally different experience from watching on a flat screen. The new Google Daydream View VR now retails for $99, this is $20 more than the previous model. You can find out more details about the device over at Google at the link below.